Milly "Hayden" trousers in cady with vertical pintucks. Approx. measurements: 35" inseam; 46" outseam. 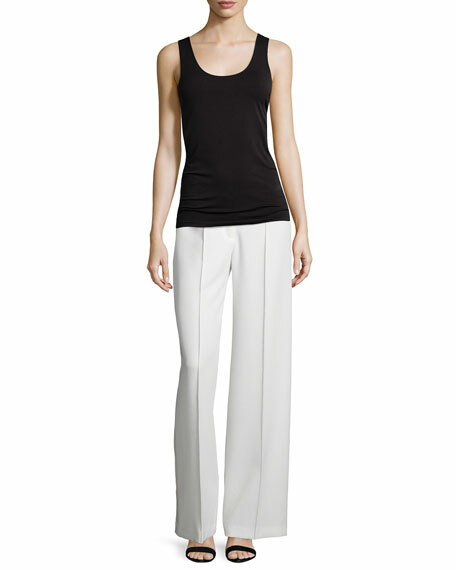 EXCLUSIVELY AT NEIMAN MARCUS Eileen Fisher high-waist trousers in organic linen. High rise; belt loops. Side slip pockets. Relaxed fit. 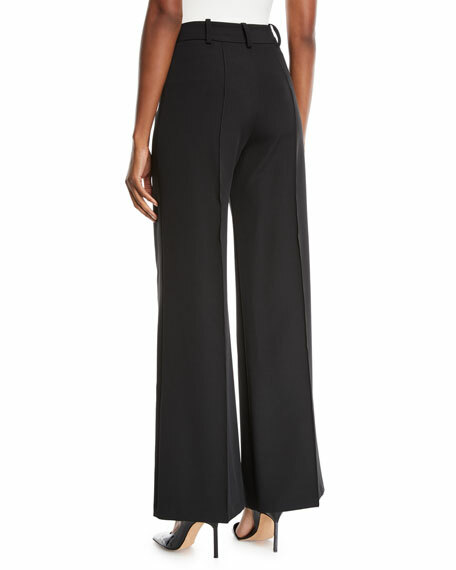 EXCLUSIVELY AT NEIMAN MARCUS Eileen Fisher high-waist trousers in organic linen. High rise; belt loops. Side slip pockets. Relaxed fit. Wide legs. Ankle-length. Button/zip fly. Organic linen. Hand wash. Imported. Etoile Isabel Marant "Alone" trousers in zebra-print. Mid-rise; belt loops. Five-pocket style. Zipper pockets. Fitted through skinny legs. Calf length. 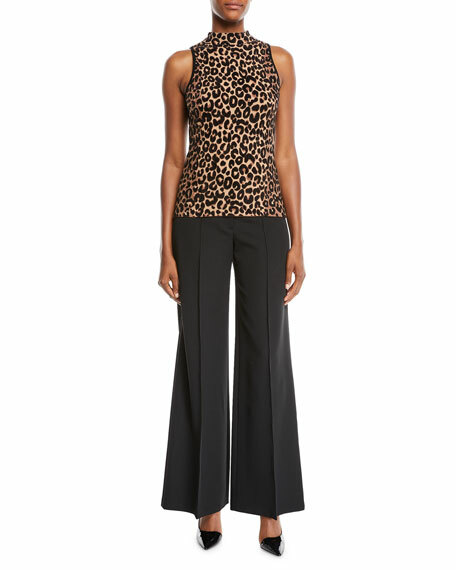 Etoile Isabel Marant "Alone" trousers in zebra-print. Mid-rise; belt loops. Five-pocket style. Zipper pockets. Fitted through skinny legs. Calf length. Exposed zip fly. Cotton/polyester/spandex. Made in Morocco. No. 21 trousers featuring contrast vertical stripes at inner & outer seams. High rise; flat front. Side slash pockets. Back welt pockets. Relaxed fit through straight legs. Ankle length. Hook/zip fly; belt loops. Acetate/rayon. Made in Romania.